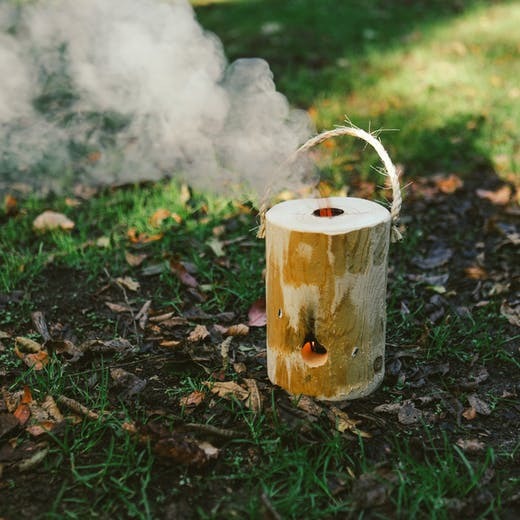 Whether we’re heading out camping or just spending time in the garden at home it can be nice to have novelty items to add some interest and this Swedish Fire Torch Set from Huckberry is one of those items. The Swedish Fire Torch is basically a bored out log with built in fire starters so it becomes a self contained fire. 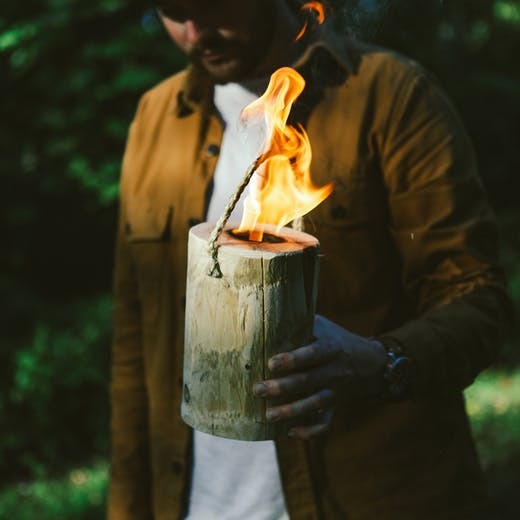 The Swedish Fire Torch set from Huckberry comprises two OneLogFire logs that are basically a bored out approximately 5″ diameter and 8″ high kiln dried log that comes with fire starters that will not taint food. 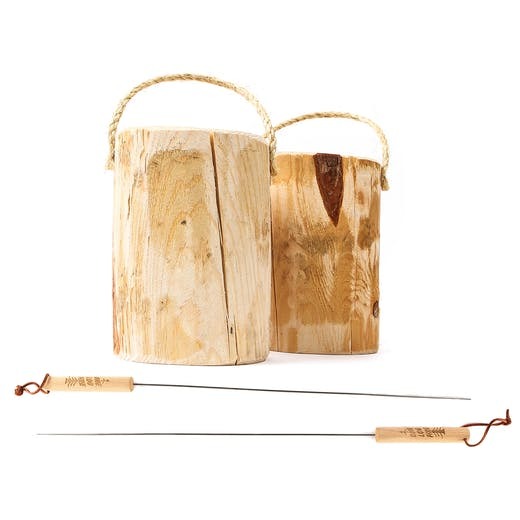 The Swedish Fire Torch Set conprises two OneLogFire logs and utensils as shown. The kit also contains two roasting sticks that are made of stainless steel and wood that are 24″ long. 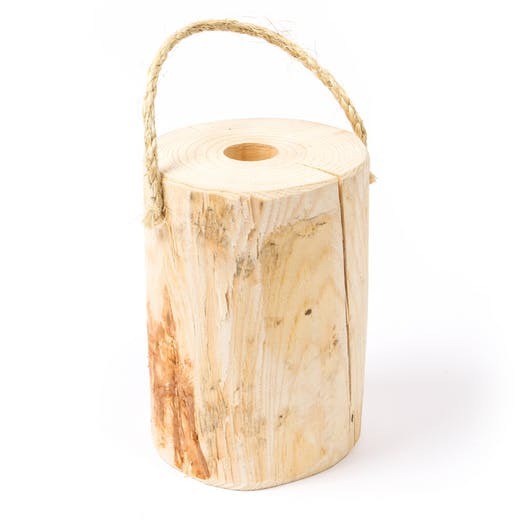 Each log has a twine handle for easy carrying whilst it is not alight. As can be seen in the feature image at the head of this post once the log is on fire the twine handle tends to become part of the fire. A OneLogFire will burn for about ninety minutes. 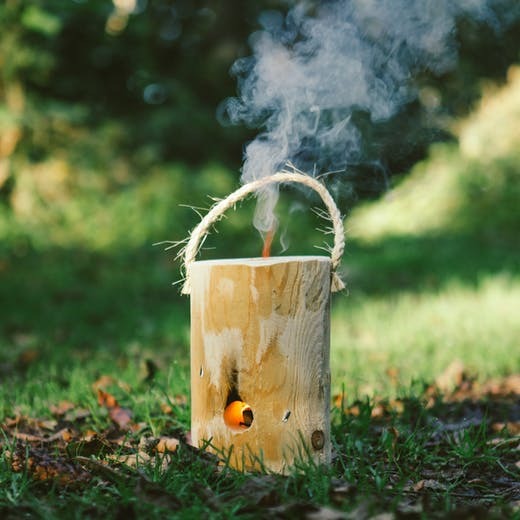 So if you’re looking for a way to get a quick easy log fire going then this OneLogFire Swedish set is a neat novelty item that allows you to create a natural self contained fire with a minimum of fuss. Great for enjoying a cigar with friends around, or roasting a kebab or reindeer sausages over whilst enjoying a glass of wine. To get your Swedish Fire Torch Set from Huckberry click here.